Human history in California began when indigenous Americans first arrived some 13,000–15,000 years ago. Coastal exploration by Europeans began in the 16th century, and settlement by Europeans along the coast and in the inland valleys began in the 18th century. 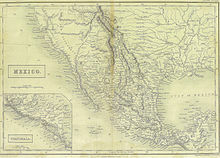 California was ceded to the United States under the terms of the 1848 Treaty of Guadalupe Hidalgo following the defeat of Mexico in the Mexican–American War. American westward expansion intensified with the California Gold Rush, beginning in 1848. 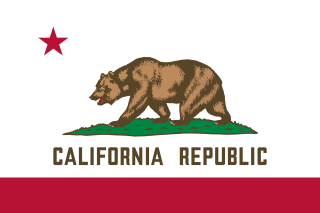 California joined the Union as a free state in 1850, due to the Compromise of 1850. By the end of the 19th century, California was still largely rural and agricultural, but had a population of about 1.4 million. Don Mariano Guadalupe Vallejo was a Californio general, statesman, and public figure. He was born a subject of Spain, performed his military duties as an officer of the Republic of Mexico, and shaped the transition of Alta California from a territory of Mexico to the U. S. state of California. He served in the first session of the California State Senate. The city of Vallejo, California is named for him, and the nearby city of Benicia is named for his wife. Californio is a term for a Hispanic person native of California, who is culturally or genetically descended from the Spanish-speaking community that has existed in the Californias since 1683, of varying Criollo Spaniard, Mestizo, and Indigenous Californian origin. Alongside Tejanos and Neomexicanos, Californios are part of the larger Chicano/Mexican-American/Hispano community of the United States, which have lived in the American Southwest since the 16th century. José Antonio Estudillo was a Californio and an early settler of San Diego, California when California was part of New Spain. El Pueblo de Nuestra Señora la Reina de los Ángeles was the Spanish civilian pueblo founded in 1781, which by the 20th century became the American metropolis of Los Angeles. José Antonio Castro was a Californio politician, statesman, and military leader who served as acting governor of Alta California in 1835. He was also Commandante General of Mexican forces in northern areas of Las Californias during the Bear Flag Revolt and the Mexican–American War of 1846–1848.